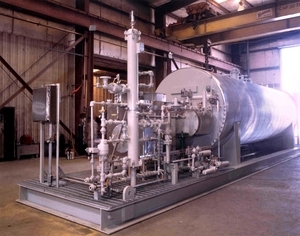 We manufactured Launcher and Receivers, Metering Stations, Large Capacity Coalescers, Large Line Heaters and Slug Catchers up to 3400 Barrel Capacity. 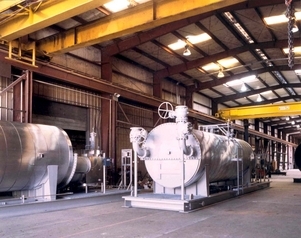 We fabricated, Mol Sieves, Amine Plants and both liquid and solid H2S Scavengers Vessels. OUR COMMITMENT..... GPE is dedicated to meeting your specific requirements for production equipment. Utmost priority will be given to your inquiries and we will continually strive to save you money, time and effort with our cutting edge design and technology. With our expertise in process design, fabrication and in house I&E department our offering vary from simple mechanically operated units to fully automated packages.